MIAMI | Three members of the US Army Golden Knights parachute team were injured during a parachute jump on Tuesday 12th January. The accident occurred at around 04:00 at Homestead ARB near Miami. Three soldiers were injured and airlifted to the Jackson Memorial Hospital. On Wednesday the Golden Knights confirmed that two were in a critical condition, while the other sustained serious injuries. By Saturday, one been released from hospital, with the other two remaining critical but stable. An official media release by US Army Recruiting Command said the soldiers were participating in a “routine night training operation”. Several media outlets are reporting they were performing a “halo jump” – freefalling from as high as 14,000 feet and opening their chutes at the last moment. 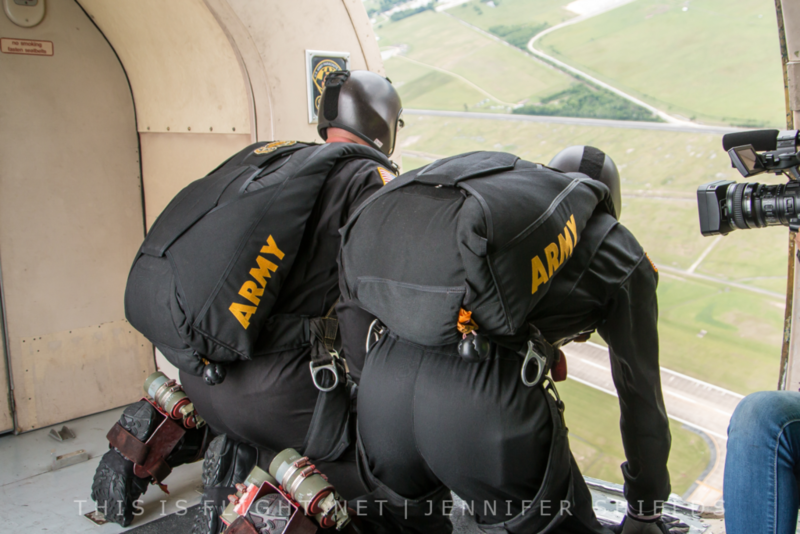 Homestead ARB is used by the Golden Knights for winter training and to introduce new members to the team. The Golden Knights have thanked fans for “the outpouring of support and concern”. The accident is under investigation. This entry was posted in Airshow News America, Airshow News Military on February 12, 2019 by Adam L..